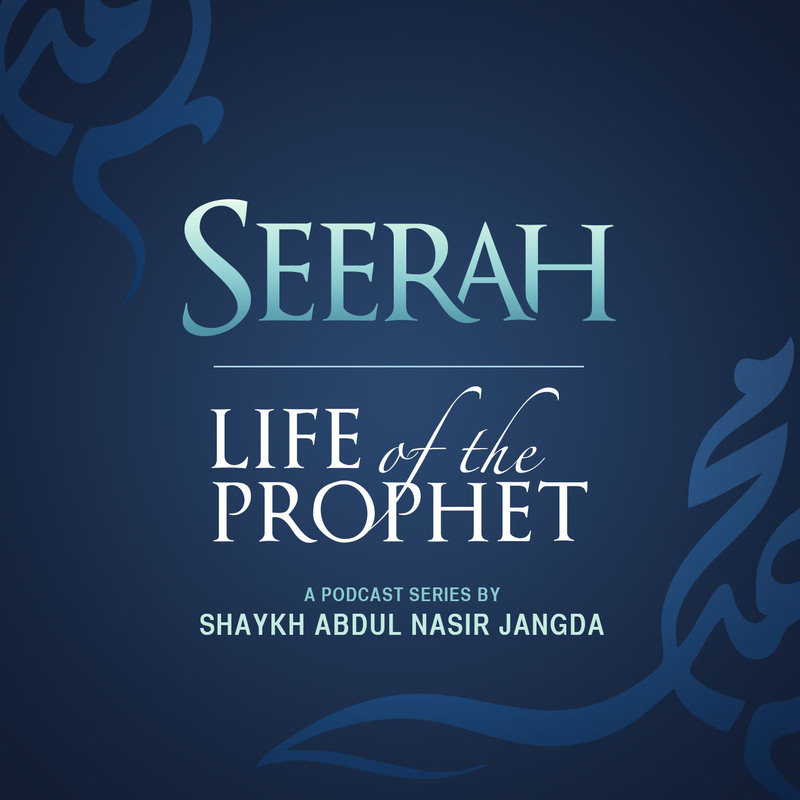 Welcome to Seerah Pearls, which aims to highlight some tantalising learning points from each episode of the Seerah- Life of the Prophet (sallallahu alayhi wasallam). 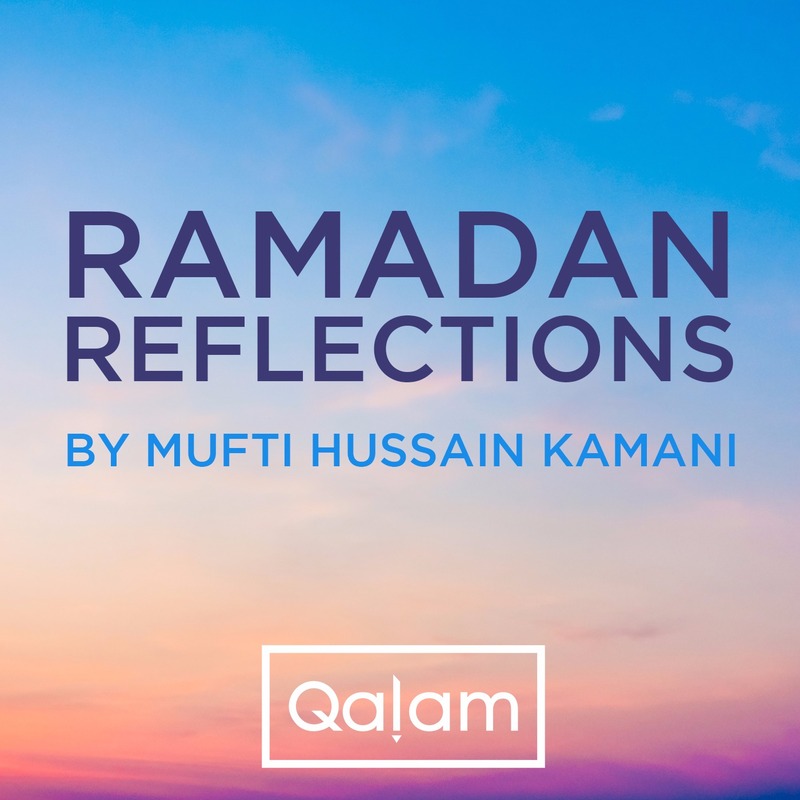 This episode recounts the acceptance of Islam by Umar bin al-Khattab (RA). Umar (RA) went to the Ka’ba and heard some people talking about the issues they were having with the Prophet (sallallahu alayhi wasallam). 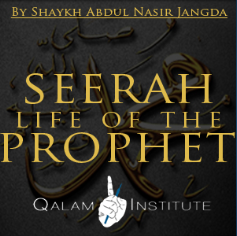 He decided to deal with the Prophet (sallallahu alayhi wasallam) himself and thus went searching for him. He held his sword in his hand, demonstrating his intent to take action. On the way, he ran into Nuaym bin Abdullah, a Sahaba, who asked Umar (RA) what his intentions were. Umar (RA) expressed his desire to kill the Prophet (sallallahu alayhi wasallam). Nuaym did not want to cause problems, but he also wanted to protect the Prophet (sallallahu alayhi wasallam). He tried to phase Umar (RA) by asking him if Banu Abd Manaf would let Umar (RA) walk freely if he killed the Prophet (sallallahu alayhi wasallam). Unphased by this, Nuaym had to try a different strategy: he then suggested that Umar (RA) dealt with his own family first, disclosing that his brother-in-law, Saeed bin Zayd, and sister, Fatimah, had accepted Islam. Umar (RA) proceeded immediately to his sister’s house. On reaching the door, he heard three voices reciting the Quran. The third person present was Khabbab ibn al-Aratt. On hearing it was Umar (RA) at the door, Khabbab immediately hides. The Quran pages are still out, while Umar (RA) pounces on his brother-in-law, asking who the third person was and questioning his acceptance of Islam. Fatima tries to grab him, but he strikes her and she starts bleeding. She finally admits they accepted Islam and tells Umar (RA) to go ahead and kill them both for this. Seeing his sister bleeding, Umar (RA) calms down. He asks about the Quran, but Fatima snatches away the pages, saying he cannot touch them. Umar (RA) reassures her he does not want to destroy them, but to read them. Fatima says he is not pure and makes him clean up, before handing Umar (RA) the pages: he starts reading surah 20, Ta-Ha. Putting down the pages, Umar (RA) asks to be taken to the Prophet (sallallahu alayhi wasallam) immediately to accept Islam. Khabbab comes out of hiding and congratulates Umar (RA), reporting that only the night before, the Prophet (sallallahu alayhi wasallam) made dua to Allah to aid Islam through Abu Jahl or Umar bin al-Khattab. They reach Dar al-Arqam and Umar (RA) knocks. A few Sahaba were present: they looked and saw Umar (RA) with his sword at his side. Hamza (RA) says to let him in, saying that if he comes with good, they would do whatever needed to take care of him, but if he comes seeking something bad, then he would kill him with his own sword. Umar (RA) enters and expresses his wish to accept Islam. 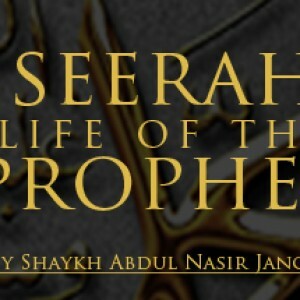 The Prophet (sallallahu alayhi wasallam) exclaimed the Takbeer and the rest of Sahaba cry out the Takbeer too. Umar (RA) goes to his uncle Abu Jahl’s house to inform him of his Islam. Abu Jahl is disgusted and calls him a fool. Umar (RA) went to the Haram and a group attacked him on account of his Islam. Some reports say he fought for an hour. Then an old man stood up and dispersed the crowd, asking why they were concerned about his path and warning of retaliation from his family. Umar (RA) suggested that they needed to pray openly at the Haram. The Prophet (sallallahu alayhi wasallam) agreed and they gathered at the Ka’ba, with Hamza and Umar protecting the group. The Muslims were not able to pray near the Ka’ba until Umar (RA) accepted Islam. We should never judge or underestimate the potential in someone. Some earlier converts could never have imagined Umar (RA) accepting Islam. For instance, a Sahabi reports she was preparing to emigrate to Abyssinia and Umar (RA) saw her packing. He asked if she was planning to go somewhere and she responded she was going as the people had oppressed the Muslims. Umar (RA) looked at her, and said ‘May Allah be with you’. She saw some softness she had never seen before. As he walked away, it seemed he was sad. Her husband asked if she was hopeful of him accepting Islam, commenting that the donkey of Khattab would accept the religion before his son; how wrong he turned out to be. 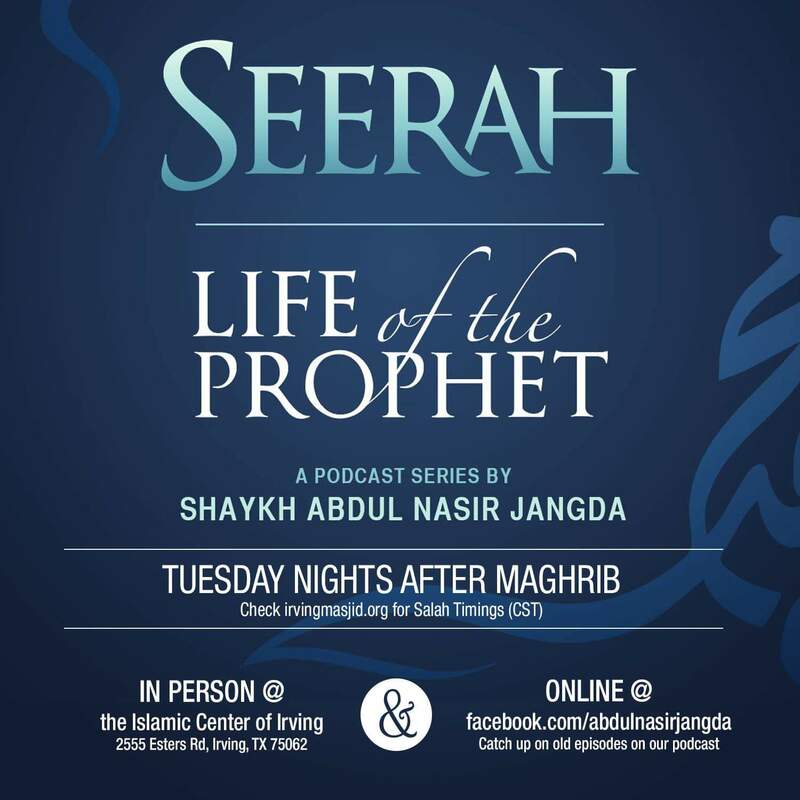 Seerah – Life of the Prophet: Political Unrest in Makkah →← Whats your intention for Ramadan? I want to thank you for this wonderful podcast. It really boosted my emaan. May Allah reward you and may you continue to spread the message of Islam, ameen. I love precious gems (lessons extracted) at the end of the audio.